Have You Really Tried Everything to Treat Your OCD? My husband and I drove the three hours to my parents’ house for the long holiday weekend, so naturally we listened to music. He chose many of his usual favorites when he drove up on Thursday–Phil Collins, Billy Ocean, Peter Gabriel–but when it was my turn to drive back on Sunday afternoon, I picked St. Elsewhere by Gnarls Barkley. I love that song. How often do musicians come right out and sing about suicide and depression, rather than using artistic metaphors? And having considered suicide myself (before I got professional help for my OCD symptoms), I really relate to it. But it raises a good question, a question all of us should ask ourselves: Have I really tried everything? Have you tried medication? If the first one didn’t work, did you try another (and another)? Have you tried exposure and response prevention (ERP)? 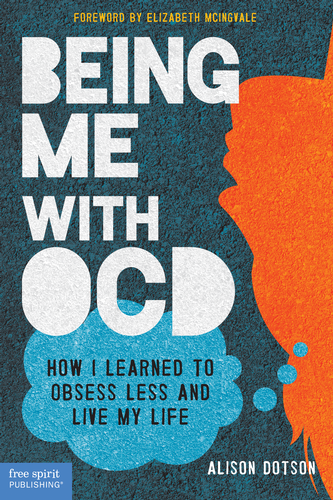 Have you read books about OCD and completed the recommended exercises? Have you read about online cognitive behavioral therapy or apps? Have you joined a support group? Have you considered checking in to a residential treatment center? Have you looked into deep brain stimulation? Have you and your doctor discussed the possibility of brain surgery? I hope it never gets to the point when suicide is even a passing consideration, or “just a thought.” But if it does, ask for help. There are so many options for treating OCD, and researchers are still looking for more. Doctors and therapists care so much about people like you and me they have dedicated their lives to helping us. Never forget that you aren’t alone!